Land Rover has announced a host of enhancements to the Range Rover Velar for its 2019MY line up. These include a broader engine choice, the latest intelligent safety technology and more features such as air suspension and adaptive dynamics which are now available as options. 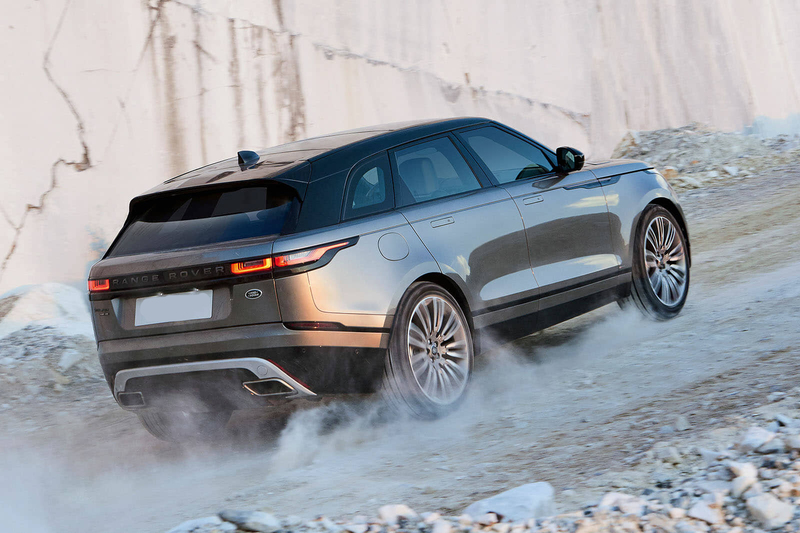 Probably the main change is the introduction of a more powerful diesel engine option into the range which will be known as the Range Rover Velar D275 featuring a 275PS 3.0-litre V6 diesel, producing 625Nm of torque. Also, for the 2019 model year, purchasers will have a greater breadth of choice when specifying their vehicle. This includes the Kvadrat premium textile seat available more widely across the range. Below we set out further new features that have been released by Land Rover. Joining the suite of driver assistance systems, Adaptive Cruise Control with Steering Assist operates between 0-180km/h and uses the existing Adaptive Cruise Control functionality with Lane Centring to steer the vehicle within its lane as it maintains a set distance from the vehicle in front. Other features include Adaptive Cruise Control with Stop & Go that allows the driver to follow a vehicle to a smooth stop and resume from stationary when the driver prompts the system by tapping the accelerator pedal. The radar-based High-Speed Emergency Braking enables enhanced forward collision detection. The system works between 6-99 mph and is able to detect an imminent collision, alerting the driver and applying the brakes if the driver fails to respond. Now fitted as standard as standard across the range will see purchasers benefit from a Rear Camera, Front and Rear Parking Aids, Driver Condition Monitor, Emergency Braking and Lane Keep Assist. Adaptive Dynamics is now optionally available on a number of models throughout the range. By monitoring wheel movement 500 times per second, and body movements 100 times per second, the system continuously varies the damping forces at all four corners of vehicle. This ensures that suspension stiffness is optimised for the driving conditions, improving ride comfort and handling – there’s even a specific calibration for off-road driving. The Velar is offered with coil springs as standard with four-corner air suspension now an option on all models with V6 engines, the four-cylinder 240PS diesel and 300PS petrol. Land Rover state this system delivers truly outstanding comfort and significantly increased off-road capability. Owner convenience is boosted by a larger 82-litre fuel (up from 63-litres) tank fitted to a number of petrol models, delivering greater range. The models benefiting from the increase in tank capacity are the P250 and P300 2.0-litre petrol Ingenium engine options. The Velar’s two petrol engine options are also now equipped with particulate filters to make them even cleaner. The highly efficient, close-coupled filters are neatly integrated into the after treatment system and trap ultrafine particles as the exhaust gas passes through them. Under normal driving conditions, the trapped particles will be oxidised into CO2 and the filter regenerated whenever the driver lifts off the accelerator. The 19MY Range Rover Velar is available to order from Land Rover dealers now with a starting price of £44,735.